Studies reach conflicting conclusions on GDF11 as a rejuvenating factor. Growth differentiation factor 11 (GDF11) has been hailed an anti-aging protein, capable of spinning back the clock on aged mouse heart and muscle. But a few studies have found evidence to the contrary. Most recently, researchers reported in Aging Cell last month (March 28) that GDF11 did not improve muscle function of older animals as had been observed by others. “We have been unable to confirm the reported activity of GDF11,” the team from GlaxoSmithKline and Five Prime Therapeutics wrote in its report. In particular, the researchers were unable to replicate the results of a 2014 study from Amy Wagers and Richard Lee of Harvard University and colleagues. The GlaxoSmithKline group treated skeletal muscle satellite cells from older mice with GDF11, but did not see increased activity as Wagers and Lee had reported. 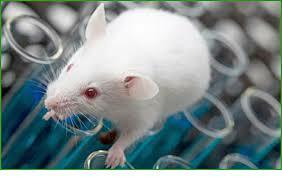 Administering the protein to young mice resulted in a reduction of lean mass as well, the team noted. Indeed, the debate over GDF11’s role in aging is far from settled. In a pair of commentaries in the April issue of Circulation Research, the Lee/Wagers group and a separate team, led by Steven Houser of Temple University, laid out the evidence for GDF11’s functions and attempt to explain the discrepancies between different labs’ results. “The data from the Lee/Wagers groups, and the associated media coverage, have given hope to aged individuals with cardiac, skeletal muscle, and central nervous system dysfunction,” Houser and colleagues wrote. “However, there is now sufficient concern about these data and we hope that any proposed rGDF11 clinical trials will do no harm". Aging Pharma Forum is part of MipTec. Powered by Blogger.